Brand new Windows Phones have been generally in short supply of late, so we bet that many of you folks are itching to know when they’re coming. Well, the wait is no more here in the US, as the Nokia Lumia 635, a slight variant of the Lumia 630 that features 4G LTE connectivity, is finally making its appearance stateside starting with T-Mobile and MetroPCS. It’s no powerhouse, that’s certainly for sure, but despite that, it’s aiming to win over people with its low price and new Windows Phone 8.1 experience. The cheap plastic material softens its looks, but there are color options available for its rear casing for some personalization. Being a variant of the Lumia 630, the design here with the Lumia 635 isn’t surprising at all, seeing that it’s identical to its sibling – down to its size, weight, choice of materials, construction, and design language. Even though we’re not fans of the cheapish feel of the matte finished plastic casing, it’s nice to know that it’s replaceable with any of the alternative assortment of colored casings offered by Nokia. For the price point and all, we can’t be too critical about the design, which is obviously subdued in tone in comparison to other things we’ve seen put out by the company. All of the usual suspects are found around its trim, like its power button, volume control, microUSB port, and 3.5mm headset jack, but Windows Phone fans will instantly realize that it’s missing the signature Start button below its display. To be fair, none of the usual Windows keys are found here, as they’re now incorporated into the Windows Phone 8.1 interface. 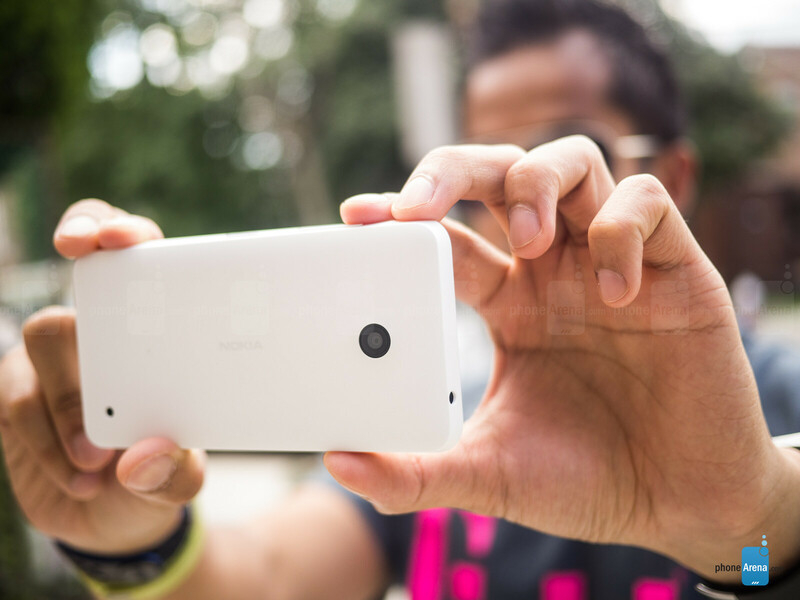 In the back, the Nokia Lumia 635 packs along a 5-megapixel auto-focus camera sans flash. However, those looking to do any sort of Skype video calls should know that this one lacks a front-facing camera. 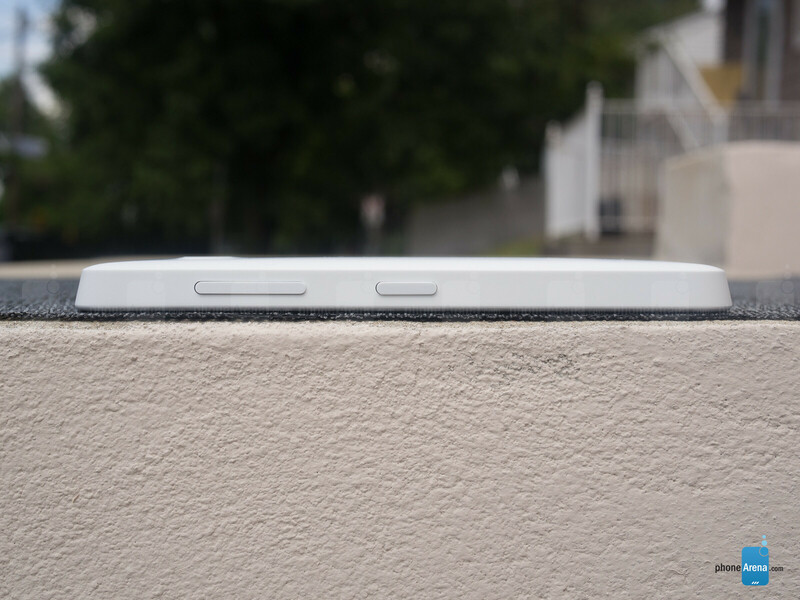 Removing the plastic rear cover, we’re given access to its 1830 mAh battery, SIM slot, and microSD card slot. Details isn’t its strength, but the 4.5-inch display produces accurate looking colors, and proves to be visible while the sun’s out. No changes here with the display, so it’s the same 4.5-inch 480 x 854 IPS-LCD display with Nokia’s ClearBlack anti-reflection filter from before. As we can clearly see with our own eyes, it’s hardly the sharpest thing with its pixel density count of 218 ppi – more so when there’s visible pixilation upon closer inspection. Despite that, we’ll give props to the display for topping out at 440 nits, making it visible outside while the sun is present. At the same time, its panel is able to produce colors that are punchy and relatively accurate. For what it’s worth, it gets the job done, but don’t expect your eyes to explode. Decent phone with a reasonable price. It is more than enough to power WP8.1. Stop it with this "low RAM'' BS. There is very few games that cannot run on 512mb of ram off windows. Mainly because of the OS is that efficient. Unlike my s5 friends, who have had it less than a month, and with few downloads, their ram usage is at 1.3gb with 300mb free...android ftw. Many people do not play games on their phones. Can't run the new lock screen app from WP. Stop this bs, it doesn't need specs to run. Half baked hardware. Excellent review and video review. I'd like to pick up one for ATT to give to someone so that they can try Windows Phone. $99 (no contract) for the 635 is an amazing deal for LTE, Cortana, MixRadio, Here Drive+ and all of the Windows synchronization that comes with Windows Phone 8.1. 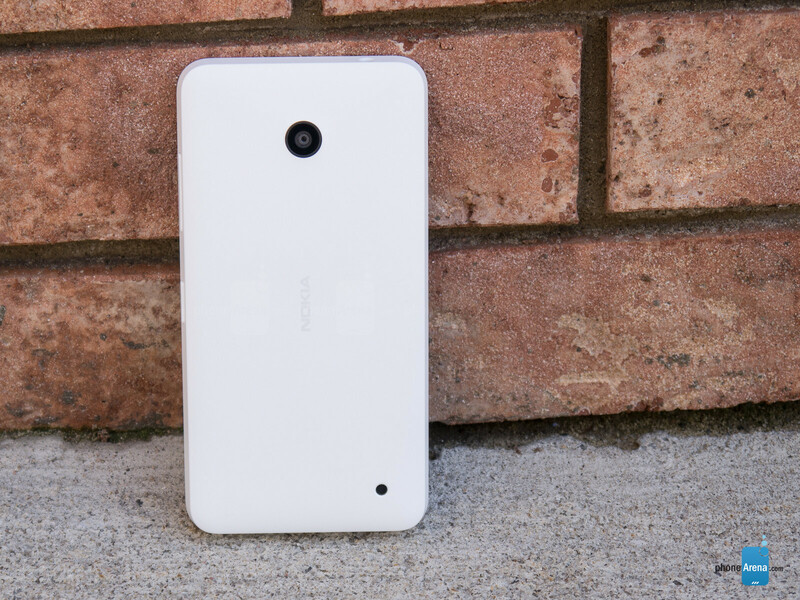 The Lumia 630 offers a lot of value for such a low cost device. Mmm ya PhoneArena is strange with their reviews. I just went back to WP, Snagged an awesome deal! on the Samsung ATIV S Neo AT&T model running perfect on Cricket Wireless & it is a way better device then this. Yet you rated it only a 6.5! And stranger yet the ATIV S (esentially the same phone is rated and 8). I know its not all about specs. But the Ativ has an awesome clear hd screen, great camera etc. I also think that some of the reviews I have read on it were worse because they were testing the Sprint model. Which would attribute to the slowdowns in the reviews. 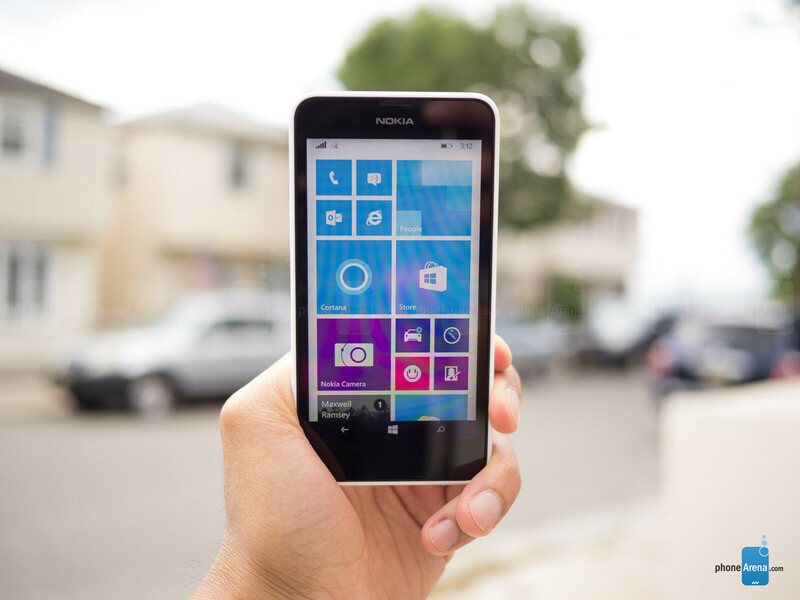 This 635 ya has wp 8.1 with Cortana on it already. But what else about it merits a higher score over the Ativ S Neo. Phone can't even run the new lock screen app by MS themselves. Loving this phone! ordered mine fromhttp://www.comparephonemarket.co.uk - got an awesome deal. Soooooo cheap and arrived the next day - boom! windows phone runs much faster than Android ones and the system is much purer,never worry about the spam programms,have the lumia 1520 and have a better experience than samsung mega 5.8..
You just compared a flagship phone to an older mid-range phone. Your opinion no longer means anything. Youre totally right, I had Lumia 820 and compared to Galaxy S4, the Nokia Lumia 820 was way so much smoother. New Nokia 730 & 830 are released in Vietnam an India is next. Both have qc qualcomm 400 1 gb ram and screen 4,7/4,5''. Nokia 830 has 18 mpix main camera (730 has 8 mpix) both with flash led. Price in Vietnam is 230 USD for 730 model... Just wait and you'll buy better. Almost forgotten - 730 is dual sim. Unlocking your Nokia Lumia Windows phone has never been easier with(email at Support@jail-break-wizz. (com) Our Nokia Lumia Unlocking process is safe, easy to use, simple and 100% guaranteed. This is the same method Networks and Carriers will use and charge you $ and over to unlock your phone. Once you receive our 8 or 20 digit Nokia Lumia Unlock code and easy to follow instructions, your Nokia phone will be unlocked within hours and be using a SIM card of your choice! Once your Nokia Lumia device has been unlocked it is permanent, even after updating the firmware.